You're going to have to settle for classic Fortnite kills for a few more days. Fortnite Battle Royale's had a rough week thanks to server issues resulting in long downtimes. The game's since staggered back to its feet, but unsurprisingly, the 50v50 v2 mode Epic had planned to go live today is going to see a bit of a delay into next week. "Due to the account service issues we’ve been experiencing, and in order to preserve your play experience this weekend, we will be delaying [50v50 v2] to next week," Epic wrote in Fortnite Battel Royale's subreddit. 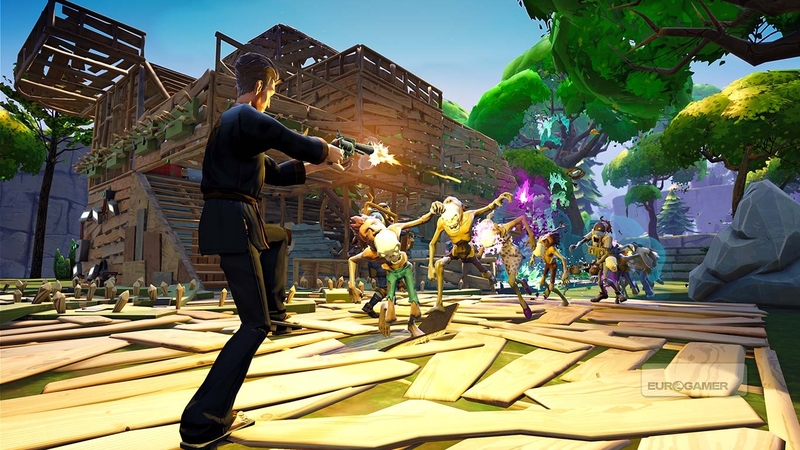 "We want you to be able to play Fortnite, and can’t wait to get this mode into your hands ASAP!" Relax and enjoy classic Fortnite this weekend. 50v50 v2, a game mode that pits two giant teams of 50 against each other, was promised as part of Fortnite's v3.5 update. It's a limited time event that's certain to attract a lot of players, so it's easy to understand why Epic might want to take a couple of extra days to make sure its servers are stable enough for the job. 50v50 v2 might be delayed, but the rest of Fortnite Battle Royale is up and running, so don't start slacking. Read our guides about Fortnite's best weapons and building techniques. If you're already up on the basics, check out our guide to Fortnite's week 8 challenges.